A Yorkshire manufacturer has completed a management buy-out (MBO) following backing from a group of organisations with further growth capital provided through the Northern Powerhouse Investment Fund (NPIF). With financial backing from Business Enterprise Fund (BEF), working alongside ABN Amro, and support from accountants Wheawill and Sudworth with Ramsdens Solicitors; Darren Pearson, Dave Bennett and Steve Pitts have taken the reins of the 28-year-old business. Gee Graphite manufactures graphite products including gaskets for the oil and gas industry at its Dewsbury headquarters, along with offering a subcontract Water Jet Cutting Service. 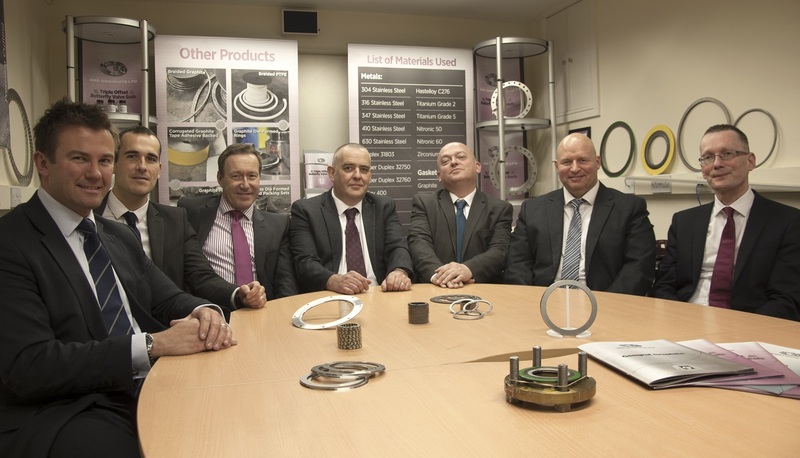 The trio, who have been with the company for nearly 40 years between them, have combined their industry specialism and intimate knowledge of the business to manage Gee Graphite’s current outlook and implement plans for future growth. “We’re very excited to have completed this deal and have ambitious plans to grow the business” said Darren. Following the MBO, Gee Graphite approached BEF for further funding through NPIF – BEF & FFE Microfinance, part of the Northern Powerhouse Investment Fund, to support the business’s growth plans, including the creation of 2 new jobs. John Hall of Business Enterprise Fund and James Elliott of ABN Amro assisted with the purchasing of the business and finance. “It’s a pleasure to be involved with another well-established business” said John. “We could see a big ambition to grow the business, but a need for capital to facilitate it. David Butterworth of Wheawill and Sudworth Chartered Accountants helped build the proposal for the deal. “It has been rewarding to have helped the MBO Team acquire the business and to focus it for growth and development during 2018 and beyond” he said. Richard Dean of Ramsdens Solicitors, based in Huddersfield, represented the business throughout the process. “We are delighted to have supported this transaction, which allows Gee Graphite to continue growing the business with the new board of directors whilst retaining continuity in both its management team and service offering” he said. Photo Caption: Richard Dean of Ramsdens, James Elliott of ABN Amro, John Hall of Business Enterprise Fund, David Bennett, Steve Pitts and Darren Pearson of Gee Graphite, David Butterworth of Wheawill and Sudworth.